Saya Mutsumi! Saya berasal dari Kyushu, tetapi penah tinggal bertahun-tahun di Indonesia. Saya sangat senang untuk memperkenalkan Anda ke pulau indah Kyushu. Take the headache out of planning with our unique and inexpensive trip planning service. Discover how a relaxing holiday in Kyushu is just a few emails away. Send me a message now or read on for details and FAQ. Discover the essence of Japan. One of Japan’s four main islands, Kyushu has a pleasant climate and a warm, hospitable people. It’s long been famed for its food, its hot-springs and the beauty of its nature. There’s so much to see and do. Enjoy one of the world’s most fascinating and ancient cultures. Marvel at the intricate beauty of exquisite Japanese Gardens. Stroll around 1,000 year-old temples, ancient castles and lively shrines. Live the healthy life. Enjoy the highest quality sushi, seafood and hand-reared Wagyu beef. Breathe the country air on scenic walks. Relax and rejuvenate at traditional Japanese ryokan inns. Soak in the healing natural hot-spring spas. Give yourself a treat. Raise a glass of one of Kyushu’s award-winning sakés. Savor the very finest of Japan’s green teas. Kyushu is a remarkable destination. A hand-crafted journey here is one you’ll never forget. We launched our unique trip planning service because we know how busy you are. Let us do all the work. You just need to sign up and in a few emails your trip will be ready. Forget the hassle of comparing hotels. We’ll suggest accommodation to suit your budget. Don’t worry about trying to navigate the train schedules. We’ll check the timetables and plan your transport for the whole trip. Trust our local knowledge to recommend the best places to go and things to do. Discover the best places to eat and drink. Work with us and bust right through the language barrier. We put in the hours to plan a customised itinerary from start to end. You just need to book your flights and enjoy your trip. Contact us to get started or read on for more info. Kyushu Journeys strives to be a different kind of travel agent. We want to enable you to find the authentic Japan and avoid the tourist traps. We aim to operate at all times with honesty and integrity. We won’t be driven by industry discounts or commissions. That’s why we charge everything at cost price and simply add a clear and transparent planning fee. Expect the highest levels of customer service, specialist local knowledge and unbiased advice. We’ll work with you to plan a personalised itinerary that’s just right for you, your budget and your travelling style. We’re trying our best to be not just the usual Japanese travel agent. 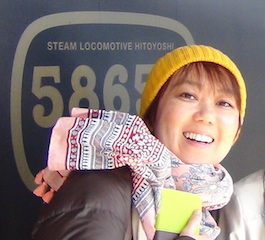 Owned and managed by a Brit who fled the rain and a Kyushu native who loves her island Kyushu Journeys strives to be a different kind of travel agent. Will I be on a group tour? No you won’t. It’ll be just you and your friends or your family, or perhaps you’ll come alone. We’ll plan a personalised itinerary based around the activities you enjoy most. Choose the things you like to do, on your own budget, with the travelling style you like. Will I be with a guide? No you won’t. By taking care of all the detailed route planning and accommodation arrangements in advance we’ll enable you to explore Japan for yourself bother-free. Drop us a message (WhatsApp, Skype, Messenger) or give us a call. We’ll be available throughout your trip. We’ll plan a trip just for you so come for as long as your travel plans allow. Where will my tour start and end? Fukuoka International airport. You just need to book your flights. We’ll take care of all the arrangements within Kyushu. We won’t shovel you into a big tour bus. We plan itineraries around Japan’s world-beating rail network. You’ll stroll around too and some short journeys will be by taxi or subway. You may prefer to rent a car and self-drive. The choice is yours. This depends on you. We arrange your tour at cost price based on the activities you choose and the standard of accommodation you request. Then we add all those costs together + our planning fee to reach the final price. How much is the Planning Fee? For our trip planning service we charge just ¥27,500 (kira-kira IDR 3.75 juta) for a one-week trip. It’s a great deal because you just pay the fee once even if you are a couple, a family, or a group of friends. All your accommodation, transport and activities will be charged at cost price. You’ll find that even after paying this planning fee you’ll get a better value trip than you would with other travel agents because we don’t mark everything up like they do. Indonesians with e-passport can come to Japan for up to 15 days without visa. Contact the Japan Consulate nearest to you (Jakarta, Denpasar, Makassar, Medan, or Surabaya) for details. Can I visit other parts of Japan too? Yes you can. 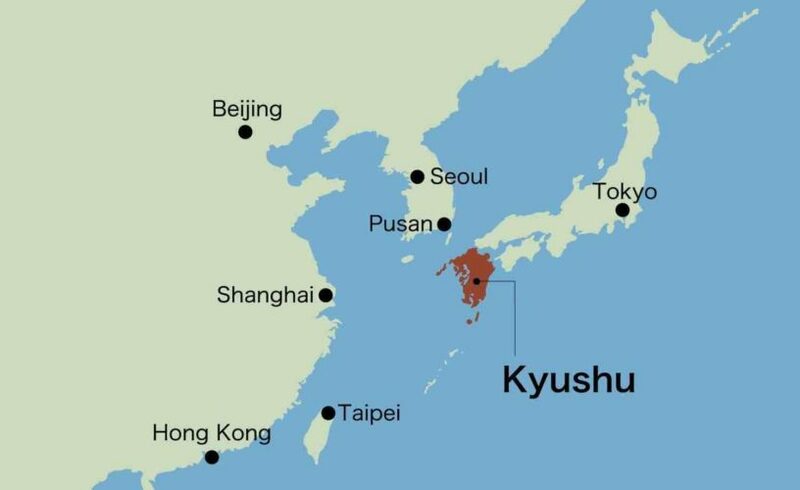 Kyushu is well-connected by plane and fast train. Fill in the form below with your travel plans or questions. There’s no charge for initial enquiries. We’ll reply with everything you need to know to start your Kyushu journey. Bisakah saya mengirim pesan saya dalam bahasa Indonesia? Boleh! Kami akan melakukan yang terbaik! Let us know as much or as little about your travelling plans as you know yourself. Feel free to ask any questions. We’ll get right back with the next step.